Burundi is a country scarred by ethnic conflicts and war. As a consequence, basic health and education services are scarce while poverty remains widespread. SOS Children’s Villages has been supporting children and families in need in Gitega since 1976. The city of Gitega is located approximately 80 kilometres east of the country’s capital, Bujumbura, and is one of the larger cities in the predominantly rural Burundi. Like other urban areas in Burundi, Gitega is experiencing constant population growth. The vast majority of people in Burundi, however, continue to live in rural areas, where they live off the land. 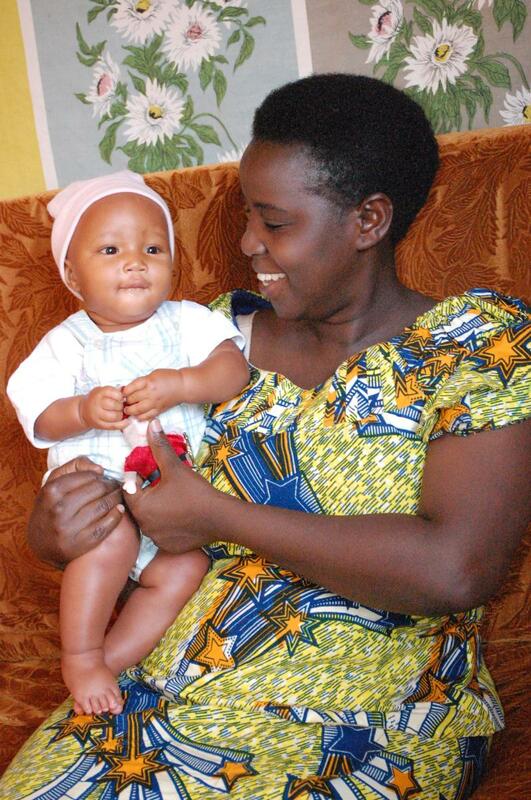 Burundi has one of the highest fertility rates in the world, and almost half of the population today is under the age of fifteen. This fact alone is an indication of the great challenges that the country faces in its efforts to improve the situation of its children. Orphaned children in Burundi are usually cared for by family members, but the immense poverty reigning in the country sometimes makes it impossible for an extended family to take in their orphaned relatives. To make matters worse, the effects of HIV/AIDS have put a tremendous strain on many families and all too often, children have no option but to scramble for a living in the streets or struggle to get by in child-led households. The lacking access to health and education services are further devastating issues for vulnerable children. The human cost of these unfortunate situations is reflected in Burundi’s high mortality rate among young children, as well as the high number of children suffering from malnutrition with dire consequences for their development. Food insecurity is a permanent problem for thousands of children and families in the area, and health issues such as cholera and malaria remain widespread. Natural disasters like droughts or floods also pose a threat for the stability and well-being of many, chiefly because agriculture accounts for a major part of Burundi’s economy and constitutes the main sustenance of the vast majority of the population in Gitega. Though the government is currently undertaking initiatives to improve the situation of children, the need far exceeds the resources available in the region. Gitega Province is one of the most populated in Burundi, and it has a very high number of children without anyone to care for them or at risk of losing the care of their family. Considering the high fertility rate and the high number of adults suffering from HIV/AIDS, the coming years will require even more support and local initiatives to secure a safe existence for a growing number of vulnerable children. Together with local authorities and other partners, SOS Children’s Villages is working with determination to bring lasting positive changes to this region. Our organisation is increasingly focusing on strengthening families at risk of breaking apart; we believe the best place for children to grow up is in their own families whenever this is possible. Therefore, numerous initiatives are carried out through our social centre to help families in need become self-sufficient. Examples of such initiatives in Gitega are the distribution of food, providing education for the children, offering support and counselling for HIV/AIDS affected families, and helping parents or carers to acquire skills that will enable them to work and support their families. Up to 130 children find a loving and caring home in 13 SOS families, and the SOS Youth Programmes provide young people from SOS families with a stable environment for their first steps towards independence. Here, the young people can keep their ties with their SOS families while they finish vocational training or higher education. The acquisition of skills that can later help a young person to secure a job is an essential step towards self-sufficiency. Therefore individual development plans are carefully arranged for all the children and young people in the care of SOS Children’s Villages. The majority of the children who are looked after in the SOS Kindergarten come from the surrounding community. Here, pre-schoolers can enjoy a caring, early-learning environment while their parents can go to work knowing their children are safe and sound. 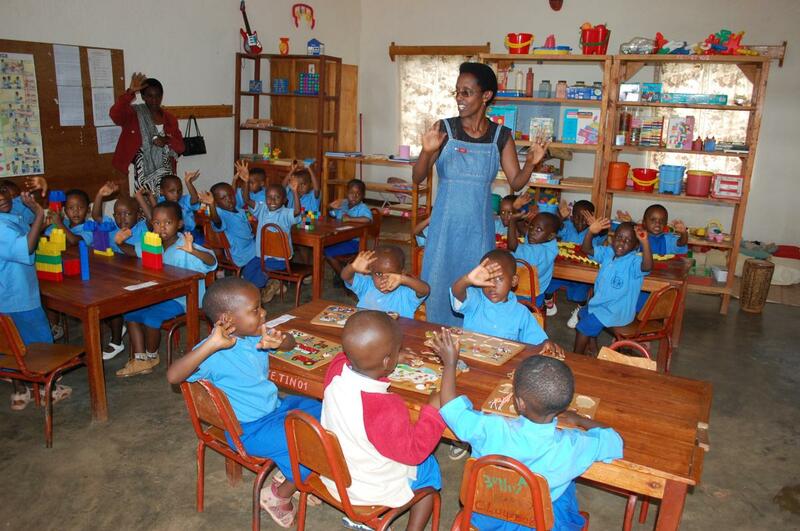 The SOS primary school provides access to education for more than 430 pupils. The large majority of the children benefitting from the school come from the surrounding community. Furthermore, SOS Children’s Villages runs a medical centre in Gitega, which treats more than 12,000 members of the community per year. Even more people are reached through different campaigns often related to how to prevent the spreading of HIV/AIDS.